Started engaging in packaging solutions almost ten years ago, we have always been proud of our good quality and satisfactory customer service. 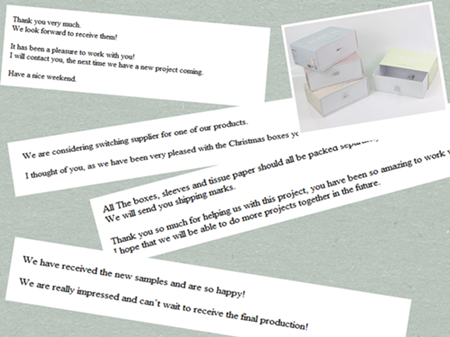 The rigid cosmetic boxes we developed recently for our costomer has won great recognization. From the general idea to artwork and sampling to mass production, we take care of each procedure and we are also pleased to see customers' beautiful products shine in our rigid paper boxes! It is our mission to provide our clients with the best quality printing products with high efficiency at low costs. We are well convinced that you will be in the list of our satisfied customers. Contact us for more details!